Describe the innovative and timeless design features employed in a wide array of recent residential architecture projects. Discuss ways in which specific landscape and topography features can inform custom home design. List the range of design strategies and materials utilized in the featured custom home projects from both an aesthetic and practical perspective. Explain how climate influenced design decisions on several of the featured homes. 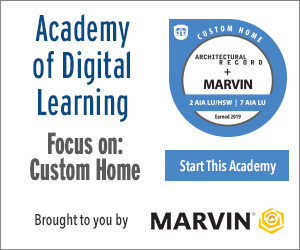 This course will feature more than two dozen Architectural Record “Record Houses”—projects selected specifically for their embrace of experimental, imaginative, and unexpected approaches, and which also exhibit a strong sense of craft, exploration of materials, and skillful manipulation of spaces. A California house floats among a dense grove of Oak trees. A triangular site with lush greenery informs the design of a private residence. The unique triangular-shaped site and the surrounding greenery were a driving force behind the overall planning and design of the house. A London-based firm renovates an existing brick townhouse in the borough of Camden. The design for this two-story, single-family villa in Lebanon’s Chouf Mountains was inspired by the surrounding terrain. A Mexico City-based firm designed a poured-in-place concrete home that embraces the site's topography. For a villa in Rome, the design team placed series of pavilions at different elevations in the landscape. Between 2007 and 2012, the architect built a cluster of four houses to provide holiday accommodations in a New Zealand forest. The renovation of a Brooklyn carriage house brings in natural light and a connection to the outdoors. The five-bedroom house is located on a heavily wooded, steeply sloping site within a 2,200-acre multigenerational ski and golf club. The architect was tasked with designing a single-family house that would respectfully respond to its context within a residential neighborhood and be suitable for the tropical setting. This single-family residence is housed within two perpendicular rectilinear volumes. Situated on a very steep and technically challenging site, the house was designed for a family of four to capture expansive views of the harbor and heavy marine traffic along the jagged West Vancouver coastline. The project is a renovation and addition to an existing single-family midcentury hillside house. The goal was to create a multigenerational residence that embraces the individual lifestyles of each family member. A Maryland-based architect reimagines the row house within a narrow urban site. A house on a Quebec lake takes cues from the openness of its natural surroundings. A LEED Platinum-certified house overlooking a historic lighthouse is built around a decades-old live oak tree. Benjamin Hall Design adds a modern twist to an early 20th century bungalow. A challenging site within a floodplain in Southampton, New York, guided the design for a summer house’s multivolume form. A multiunit Toronto housing complex is an urban prototype for inter-generational families. A South Korean house with a traditional gable roof maintains a sense of privacy. A single-family home near the Karoo Desert in South Africa brings inhabitants closer to spectacular natural surroundings. A split-level home in Hermosa Beach, California, exudes quiet sophistication. 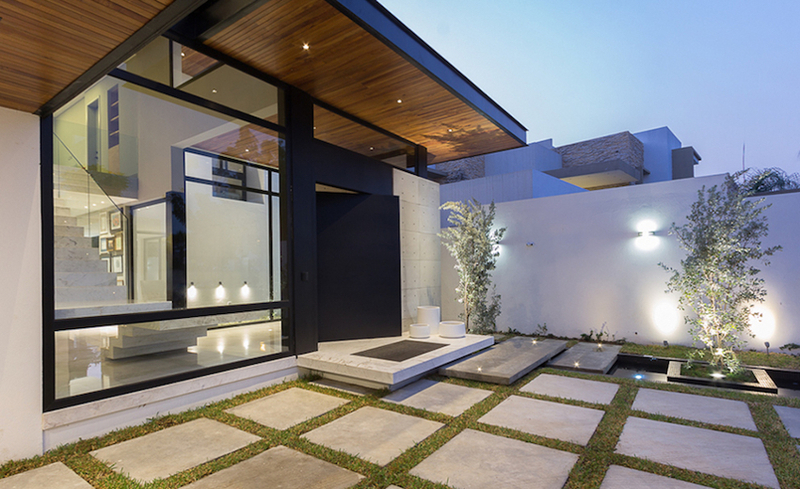 A four-bedroom, Mexican Modern-style house welcome visitors with extensive glazing and generous outdoor spaces. Clients on a farm in Oregon wanted a single-family residence and guesthouse with a close, living connection to their natural surroundings. The Rough House is a single-family residence rooted in handmade craft and built to showcase local artisans and their design processes. The clients—a chef and an artist—wanted a private, three-bedroom residence, an artist’s studio, and a separate apartment joined to the restaurant that they own and run, also designed by the architect. A young family of four sought a five-bedroom home with a pool in an artsy, eccentric neighborhood of Austin with strict zoning specifications and large existing trees.